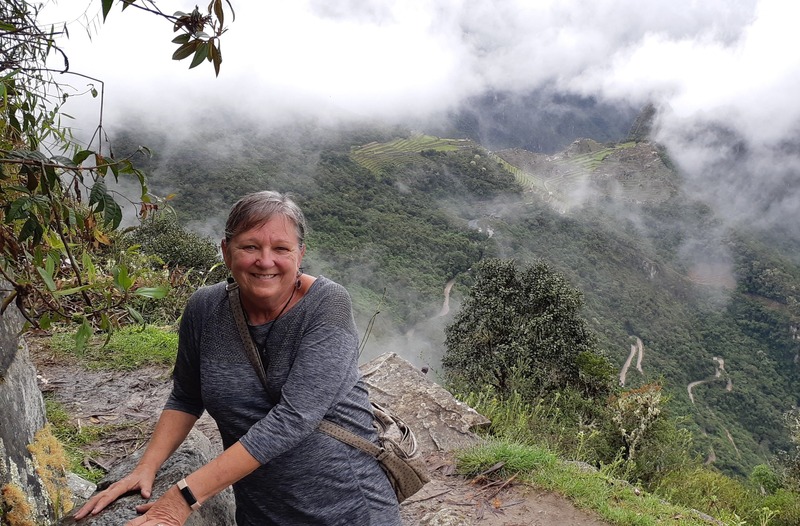 An exciting experience: Machu Picchu and the Lake Titicaca. 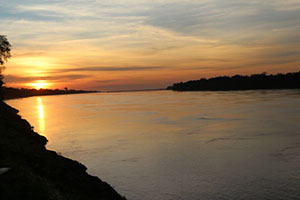 During the excursion of the last you will visit its famous floating islands and get in touch with its friendly people. 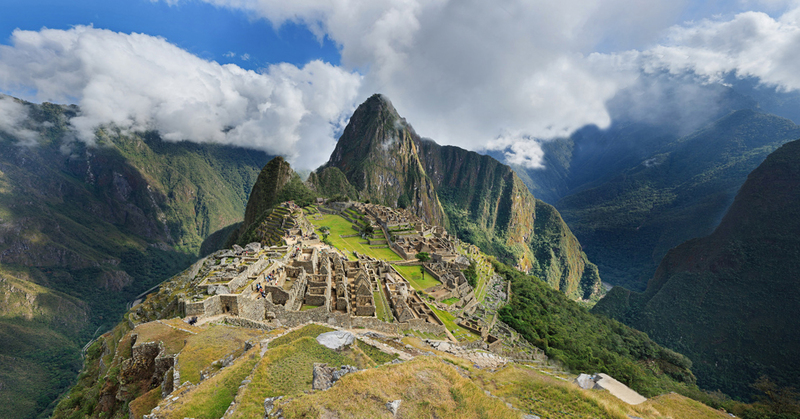 The trip continues towards one of the marvels of the World, Machu Picchu, where you will enjoy its splendid beauty, and incomparable energy. Lake Titicaca is one of the most beautiful destinations in southern Peru and it is the natural frontier between Peru and Bolivia. 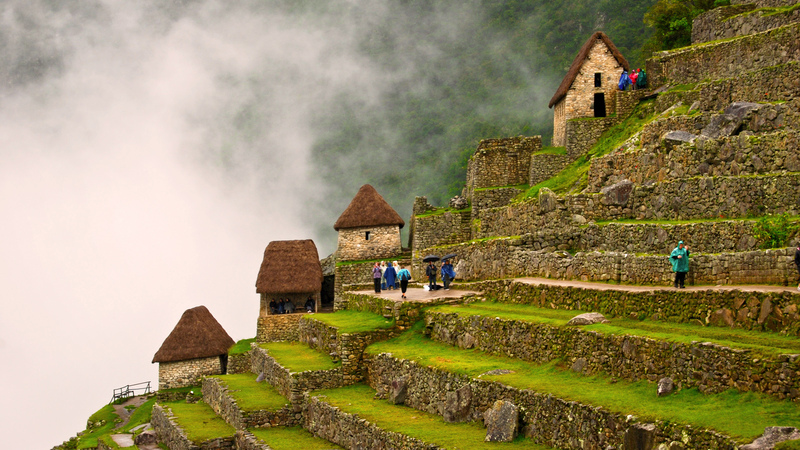 It is known for its breathtaking scenery, its islands where ancient communities live keeping their ancestral customs intact, and also because of its millenary past, being the spot marked in the Inca legend as the birthplace of the empire. A visit to Lake Titicaca is a must do excursion before or aler your Machu Picchu tour since it is near Cusco city, just a sixty minutes flight or an eight hours bus ride far, and it will only take you two or three days. 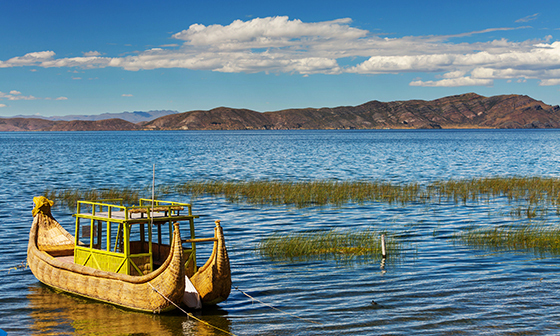 We offer you the most exciting tours in Lake Titicaca, like a visit to Uros, around forty reed islands, make periodically by its own inhabitants. 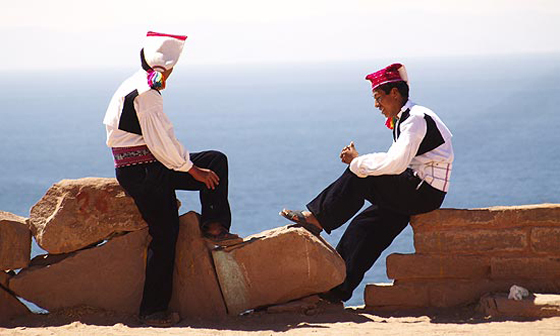 Another interesting tour is to Taquile and Amantani islands, where you will have the chance to visit their prehispanic temples, learn about their ancient traditions like the knimng men, for example, all of them older than Inca times. 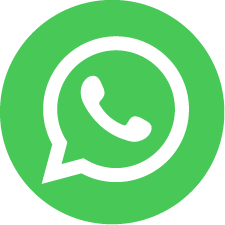 If you prefer an overnight you can spend it in a house of a local family and live the real experience, don´t expect luxury but instead warm and cordial hosts eager to show you their lifestyle. They will share with you their daily routine, showing you how to weave the beautiful paderns they keep the same as their ancestors used to do, how to process wool, or how to dye fabrics using only their local flowers and plants, how to cook their traditional meals made mainly of potatoes, wheat and corn, and of course you will taste their delicious dishes. 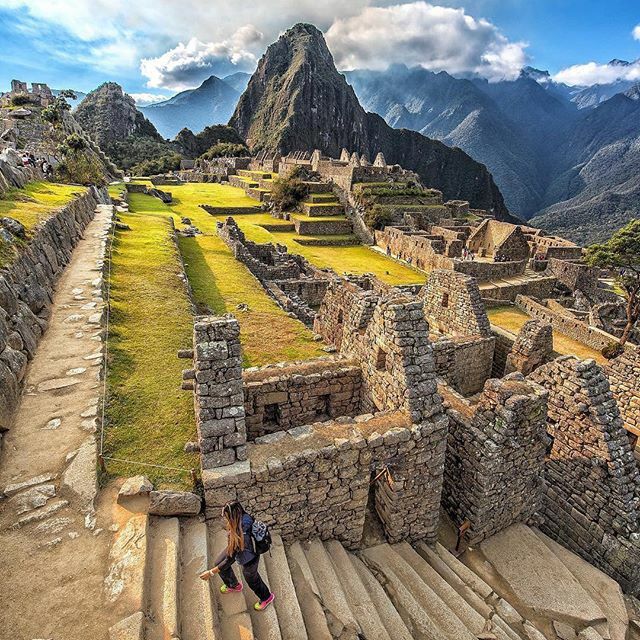 Arrival time in Machu Picchu. Transfer from the hotel to the bus station. Depart in the morning on a special bus to Puno. During the trip you will appreciate the nearby valleys and wonderful landscapes. 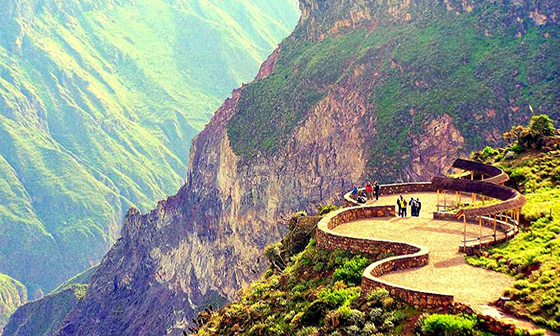 The route includes a stop at La Raya's pass (14107 ft. above the sea), natural boundary between Cusco and Puno, where you will get excellent photographic shots of the Andean snowcapped mountains. Then you will have a stopover at Raqchi ruins, known as the Temple of God Wiracocha. 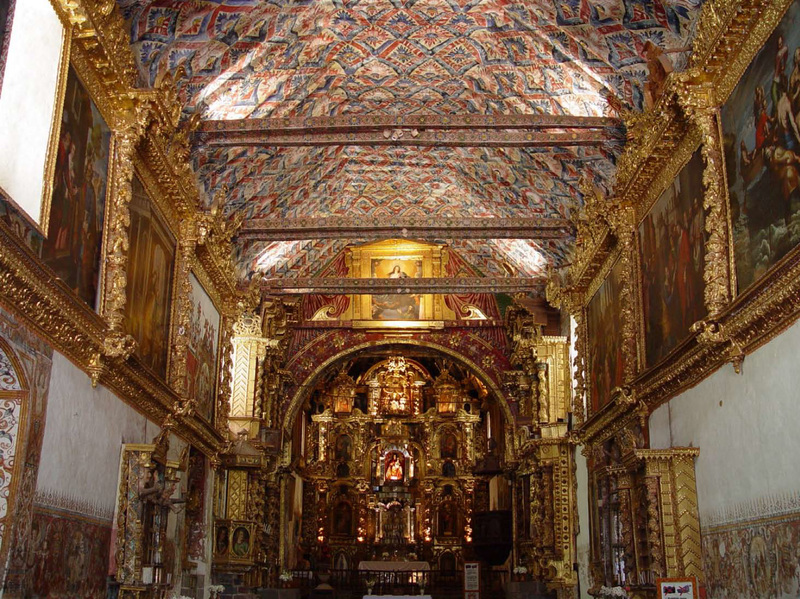 You will visit the Checacupe church, built in the XVII century, one of the most beautiful churches in Cusco; it has the particularity of having the oldest image of the Immaculate Conception in the entire Cusco and probably of America. This image has a Romanesque style with Byzantine influences. You will also see the arch bridge of Checacupe, a colonial construction that rises above the Pitumarca river. Lunch on the route. Upon your arrival, transfer to your hotel. Overnight at selected hotel at Puno. 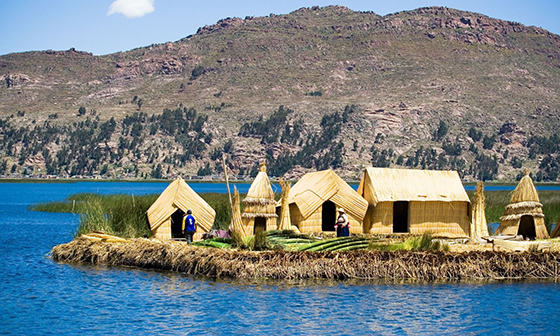 Transfer to Uros, these floating islands are occupied by people known as the "Water Tribe" because they have built their own "Island" by adding periodically new layers of "Totora" a type of marram-grass very typical from this place. 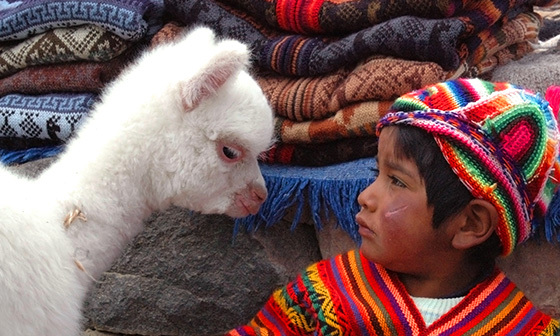 Then you will be transferred to Amantani Island, after a welcome you will take lunch with locals. 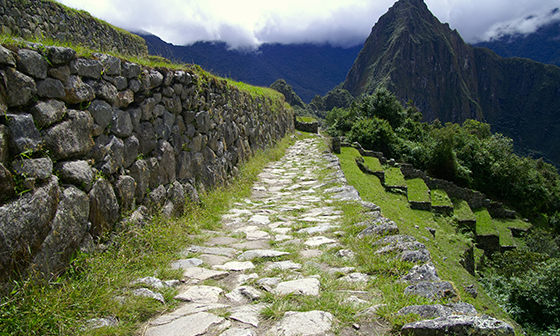 At appropriate time you will start a hike, where you will appreciate the local culture and customs. Then you will arrive to Pachatata ceremonial center, a place where Amantani's habitants deposit every year their ritual offerings. 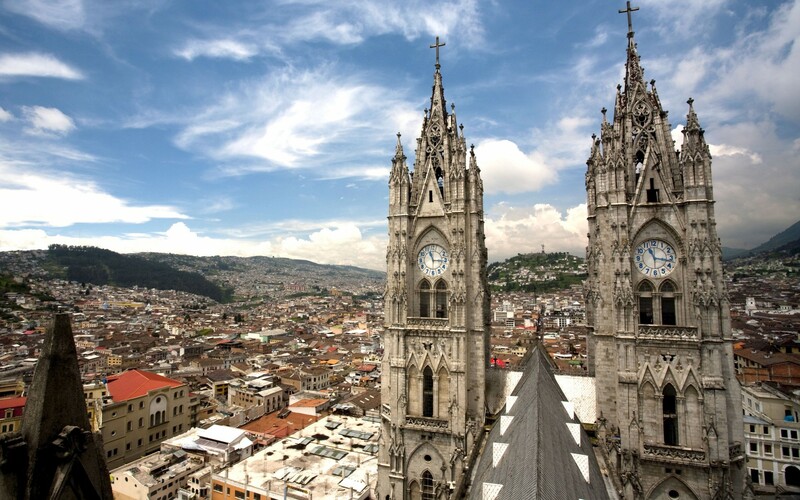 In front it is another center called Pachamama, where the rituals and worships are offered to the cosmic deities. Return to a family house to take a typical dinner and overnight. 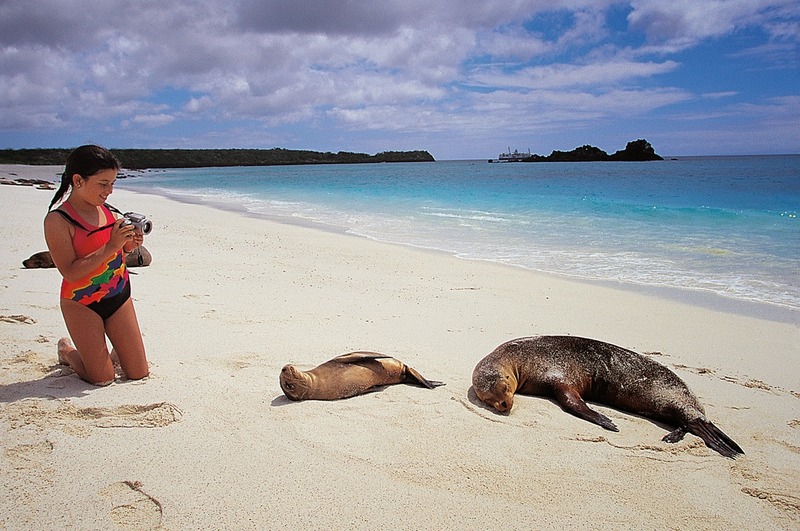 After a typical breakfast, transfer to Taquile Island where you will have a four hours visit. Upon your arrival you will start a hike where you will appreciate the wonderful natural sightseeings, then ascend through a regular pendant slope to arrive to the town, there you will visit the Handicraft Center where you can buy a great variety of handmade issues with very colorful and delicate designs. At proper time transfer to Puno, this time you will descend 533 stone steps to reach the main port where you will get on board for a 2.50 hours trip to Puno city. Upon arrival transfer to the selected hotel. 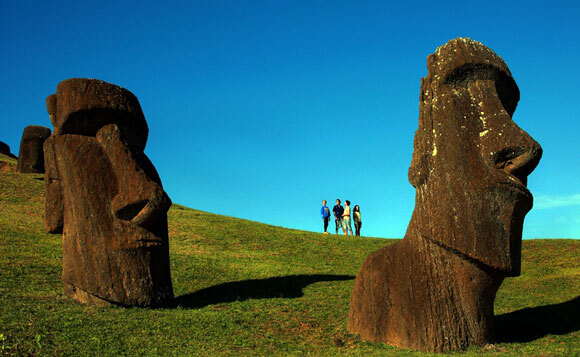 This day You will visit Chucuito, the fertility temple, 18 km. from Puno. Afterwards you will have a Puno city tour: the Military Museum Yavary, the National College, the front of the Cinema of Puno, the Main Square and the Cathedral. 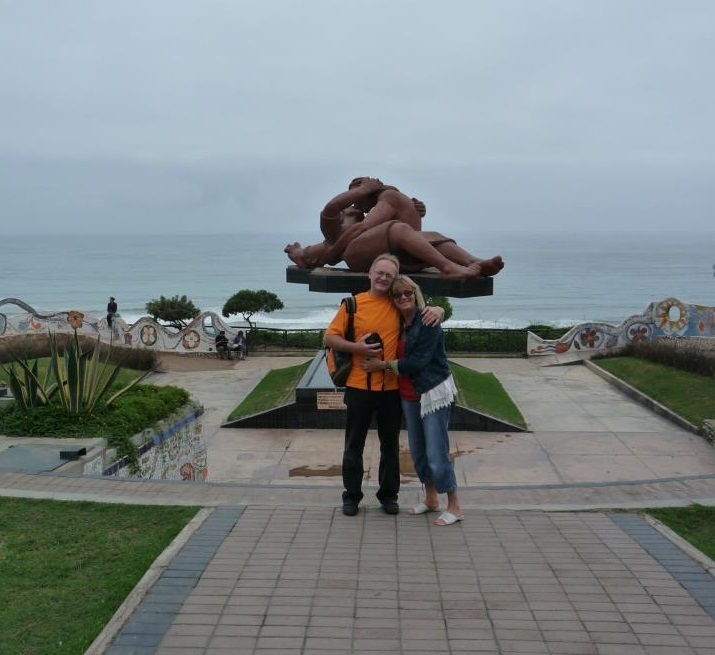 At the appropriate time, transfer to the airport to take the flight back to Lima. Upon your arrival, reception at the airport and transfer to your hotel. 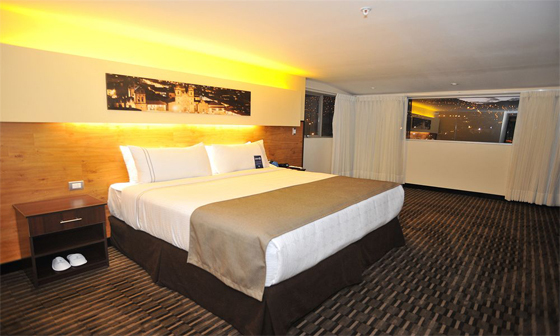 3 nights of accommodation in Lima at selected hotel. 2 nights of accommodation in Puno at selected hotel. 1 night of accommodation at a Local homestay in the island. If you are more adventurous you can do kayak in the calm waters of Lake Titicaca, near Llachon peninsula, which is a predy unique experience. Another exciting excursion is the tour to the Youth fountain, located on Sun island in the Bolivian side of the lake.